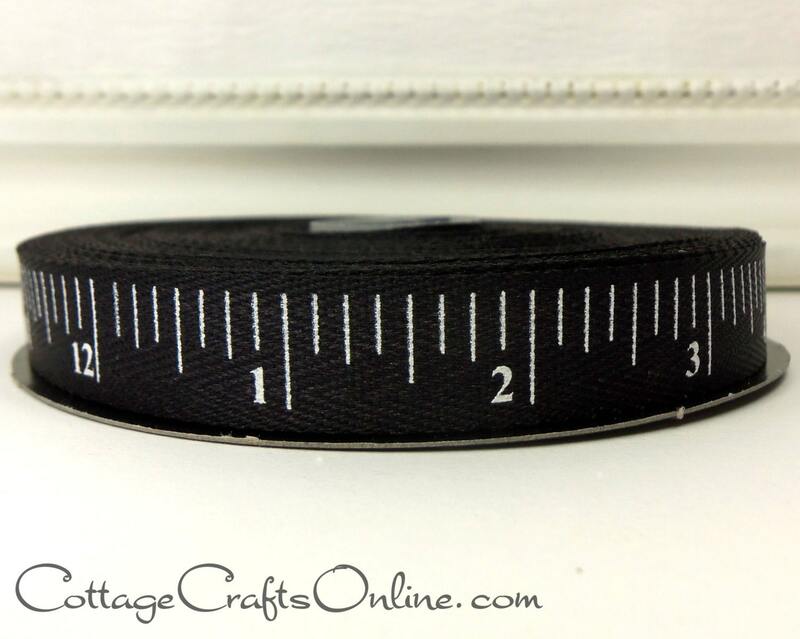 Black polyester twill tape printed with a white measuring tape or ruler design, 5/8" width, from luxury ribbon company d stevens. Also available in white and yellow, both with black printing. Perfect item for what I needed. Excellent quality and came quickly.